Maya HTT is a world leader in the development and application of advanced CAE technology for the space industry. 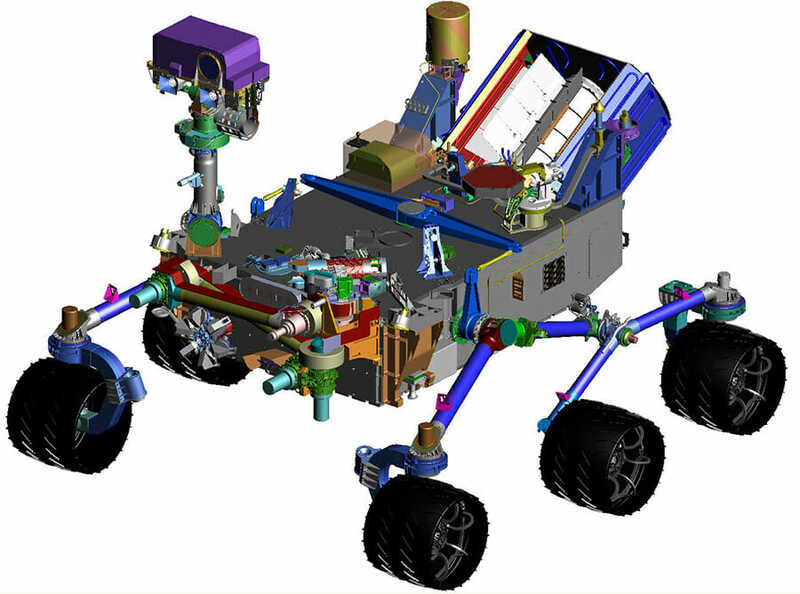 We create some of the most sophisticated, cutting-edge software packages available for spacecraft mechanical engineering, including the TMG thermal analysis system and the SA Toolkit for dynamic response analysis. Our team members are seasoned experts in applying and adapting the market-leading NX™ and TeamCenter platforms to meet the specialized needs of the space industry. We offer deep industry expertise combined with professional software development capabilities, enabling us to craft comprehensive solutions to the most challenging engineering problems. We have worked with space industry clients all over the world, providing consulting, engineering, and software implementation services. Our customers include space agencies in the United States, Canada, Europe, Russia, India, and Japan, as well as large number of manufacturers including Lockheed Martin, EADS, Thales Alenia, MDA and many others. Maya HTT is an authorized reseller for Siemens PLM’s NX™ and Teamcenter® software. These market-leading solutions provide state-of-the-art capabilities for space systems development, spanning design and engineering to simulation and testing and then final assembly and launch. As a longstanding development partner we offer unrivaled expertise with the NX™ CAE portfolio, which includes NX™ Nastran, Space Systems Thermal, NX™ Flow, Laminate Composites, and Response Simulation. Our knowledge of the space industry, combined with our ability to customize and extend the NX™/TeamCenter platform, enables us to help space companies fully harness this powerful software suite. Our specialized services to our software clients include process consulting, development and implementation of engineering methods, customized training, application development, and technical support. The Maya HTT team includes recognized industry experts with extensive knowledge of spacecraft design, analysis, and testing. Equipped with the complete line of NX™ software, we can support all stages of space system development, from concept to launch. Our capabilities and expertise span the full spectrum of mechanical engineering; our technical specialties include thermal and structural design and analysis, CFD, dynamics and coupled loads simulation, laminate composite materials, and mechanical testing.